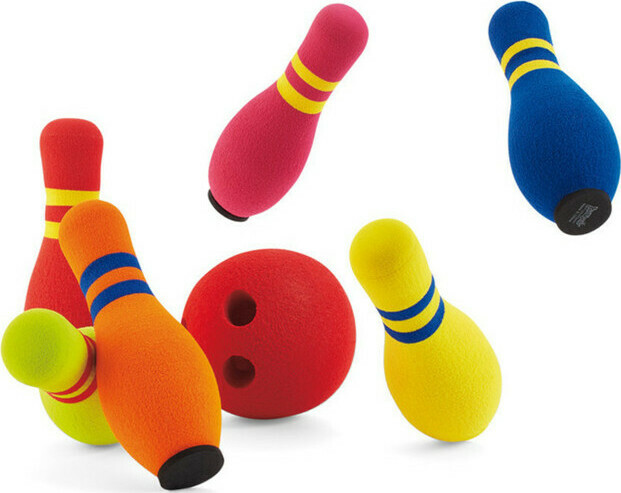 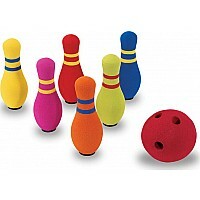 Six pin bowling set includes flat bottomed pins and weighted foam ball. 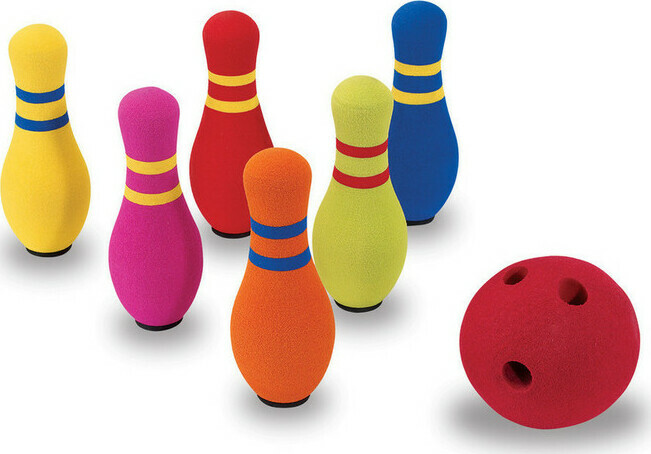 Great for indoor or outdoor play. 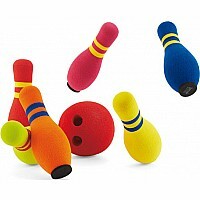 Set is packed in sturdy zippered bag for portability and storage.